Ok, so they’re not actually real, but they are pretty awesome – check out the way these projected tattoos dance around the body. 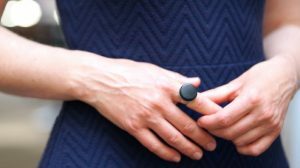 We love a wearable, and this smart ring also serves as a panic alarm – functional and funky. Storms and floods have caused havoc all over the world in recent years, so this reinforced floating capsule could provide a lifeline. Are you a bit forgetful? Tend to lose track of your keys or cash? Then try this pretty awesome tracking app! Feeling peckish? 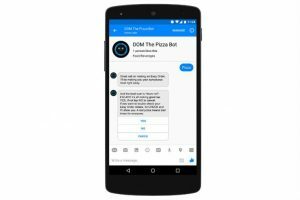 Use the Facebook messenger app to order your favourite pizza from Domino – deliciously easy!